A timeline of significant events in Sudanese history — from independence in 1956 to independence for South Sudan in 2011. The Republic of South Sudan declared its independence from Sudan on July 9, six months after the people of Southern Sudan voted overwhelmingly to separate from the rest of the country. Also on July 9, the 2005 peace deal that led to the referendum expired. That agreement — between the government of Sudan and southern rebels — ended a civil war that began in 1983. Since the referendum vote, three conflicts — between rebel groups and Southern Sudanese forces; between Northern and Southern forces in the border region of Abyei; and between the Sudanese army and a pro-Southern group in the Nuba mountains — have claimed over 2,360 lives. The two sides are still negotiating key issues such as citizenship rights, oil rights and border demarcation. Status: Autonomous region of Sudan. President: Salva Kiir Mayardit (since 2005). Location: Bordered by the Central African Republic, Congo, Uganda, Kenya and Ethiopia, as well as the northern region of Sudan. Area total: 644,329 sq. km (29% forest). Population: 8,260,490 (Sudan Census, 2008). Population density: 13 per sq. km. Literacy rate: 27% (males 40%; females 16%), persons 15 years and over. Poverty: Half the population live on less than the equivalent of $1 a day. Livelihood: Crop farming and animal husbandry are the main source of livelihood for 78% of households. Major cash crops: Sorghum, maize, rice, sunflower, cotton, sesame, cassava, beans and peanuts. Cattle: 11,735,000 head in 2009. Sudan was a collection of independent kingdoms and principalities until 1820, when Egypt conquered the region and united the disparate territories. Egypt held the area until a revolt in 1885. A religious leader, Muhammad ibn Abdalla, led his followers in a nationalist uprising. His people, called the Mahdi ("expected ones") ruled until 1898 when a joint British-Egyptian force overwhelmed the Mahdists. Sudan was under British-Egyptian administration until 1953, when Britain and Egypt agreed to Sudanese self-government. Sudan became independent on Jan. 1, 1956. The country has yet to experience long-term peace. The government in the capital, Khartoum, was Arab-led and reneged on promises to southerners, leading to a mutiny by southern army officers. This triggered a 17-year civil war from 1955 to 1972. The war restarted in 1983. Chief of Staff Lt.-Gen. Ibrahim Abboud overthrows the government of Prime Minister Ismail al-Azhari in a bloodless coup. A wave of riots against the authoritarian rule of Abboud forces the military to relinquish power. Parliamentary elections are held in April 1965. President: Omar Hassan Ahmad al-Bashir. Population: 41.4 million in 2008. Official language: Arabic (mother tongue of half the population). Major religions: Sunni Muslim in the north (70% of Sudan's total population); indigenous beliefs, mostly Christian in the south and Khartoum. Area total: 2.5 million sq. km., the largest country in Africa. Resources: Petroleum, copper, zinc, tungsten, silver, gold, cotton, peanuts, millet, wheat, sugar cane, cassava, mangos, bananas, papaya, sweet potatoes, sesame, sheep. Industries: Textiles, cement, sugar, shoes, pharmaceuticals, light-truck assembly. Trading partners: China, Japan, South Africa, Saudi Arabia, India, Britain, Germany, Indonesia, Australia. A coalition government is formed between the Umma and National Unionist Parties under Prime Minister Muhammad Ahmad Mahjoub. The government is unable to unite the country as it falls into factional fighting, economic stagnation and ethnic skirmishes. A military coup is staged by Col. Gaafar Muhammad Nimeiry, who becomes the country's new leader. He abolishes parliament and outlaws all political parties. He installs himself as president. Nimeiry briefly loses power in July 1971 to the Communist Party, but his rule is restored within days. The Addis Ababa agreement ends the north-south civil war and establishes the Southern Sudan Autonomous Region. President Nimeiry institutes traditional Islamic Shariah law. He also declares a state of emergency to make sure Shariah is applied widely. Emergency courts are established. Punishments ranging from amputations for theft to public lashings for alcohol possession become commonplace. In the south, the Sudan People's Liberation Army (SPLA), with a political wing, the SPLM, is formed under leader John Garang. Nimeiry's actions spur the SPLA to restart the civil war. Nimeiry announces the end of the state of emergency. He dismantles the emergency courts and institutes a new judiciary act that continues the practice of Shariah law. Senior military officers mount a coup and suspend the constitution. Gen. Abdel-Rahman Swar ad-Dahab becomes Sudan's new leader. Sudan holds its first free elections in 18 years. A new coalition government is led by Sadiq al-Mahdi of the Umma Party as prime minister. Over the next few years, the coalition dissolves and reforms several times, but always with the Umma Party in charge. The civil war continues. The U.S. launches a cruise-missile strike against a pharmaceutical complex in Khartoum. Brig.-Gen. (later Lt.-Gen.) Omar al-Bashir leads military officers in a bloodless coup. The move is supported by the National Islamic Front party. The officers install a Revolutionary Command Council. Al-Bashir becomes president and chief of the armed forces. Fighting between the SPLA and government forces resumes in October. The government announces a new penal code with harsh punishments, based on Shariah law. In what's known as the Bor massacre, conflicts between SPLA factions lead to the slaughter of at least 2,000 Dinka people in Bor, Southern Sudan. Al-Bashir appoints all 300 members of a new transitional National Assembly. After 10 years, the ongoing civil war has claimed 600,000 lives and displaced millions. Two principal rival factions of the SPLA agree on a ceasefire. The government announces a unilateral ceasefire. Then the main SPLA faction responds with its own ceasefire. The SPLA unites with the opposition in the north, including the Umma Party, to create the National Democratic Alliance (NDA). The SPLA and partners start an insurgency in the eastern Sudan and northern Blue Nile areas. The government signs a series of agreements with rebel factions, except the SPLA. Many rebel leaders become part of the government. The government and the SPLM reach a historic agreement on the roles of the state and religion and the right of Southern Sudan to self-determination. It's called the Machakos Protocol, after the town in Kenya where peace talks were held. Both sides sign an understanding for a cessation of hostilities. Discussions and further agreements continue through 2004. Another rebellion starts up in the Darfur region in western Sudan. Residents are mostly black and accuse the government of ignoring the development of the region. Government installations are attacked. Soon, the Janjaweed militias, with air support from the Sudanese government, start attacking villages. 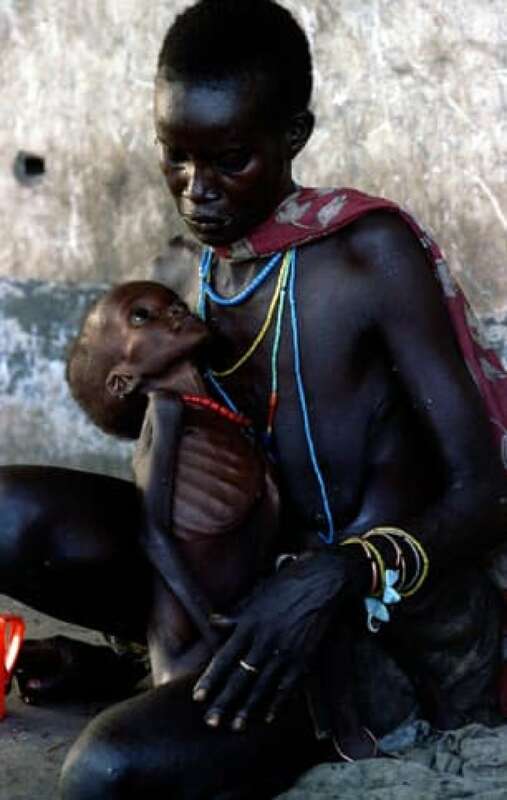 Over the next eight years the Darfur conflict would claim 300,000 lives and drive 2.7 million people from their homes. For subsequent events in Darfur see CBC's "The crisis in Darfur, a timeline." The government and southern rebels sign the Comprehensive Peace Agreement, providing for a degree of power-sharing between north and south; limited autonomy for the South for six years then a referendum on independence; equitable distribution of profits from oil fields in the south. More than two million people died in the war. Rebel leader John Garang becomes first vice-president of Sudan but is killed in a helicopter crash three weeks later. Autonomous government formed in Southern Sudan under new SPLA leader Salva Kiir Mayardit. Sudan is declared the world's most vulnerable state on a ranking produced by Foreign Policy magazine and the Washington-based Fund for Peace think-tank. Nuala Lawlor, the acting chargé d'affaires for Canada in Sudan, and her European Union counterpart are expelled from Sudan. No reason is given, though Sudan's official news agency reported that government officials believed Lawlor had been meddling in Sudan's internal affairs. One week later, Canada expels a Sudanese diplomat as a response to Lawlor's expulsion. Arab militias and southern Sudanese forces clash in the oil-rich Abyei region in the Spring. Al-Bashir and Salva Kiir agree to international arbitration. The death toll from violence in Southern Sudan for 2009 reaches 2,000 and another 250,000 people are displaced, according to Doctors without Borders. President al-Bashir is indicted on charges by the International Criminal Court in The Hague. The charges had been filed by the ICC prosecutor in July 2008, alleging he orchestrated the violence that has devastated Darfur and left hundreds of thousands dead. Al-Bashir becomes the first sitting head of state to be charged by the ICC. The Permanent Court of Arbitration in The Hague rules on the disputed boundary of Abyei, giving an area with an oilfield and its pipeline infrastructure to the north. The governments of Sudan and Southern Sudan said they would respect the ruling. 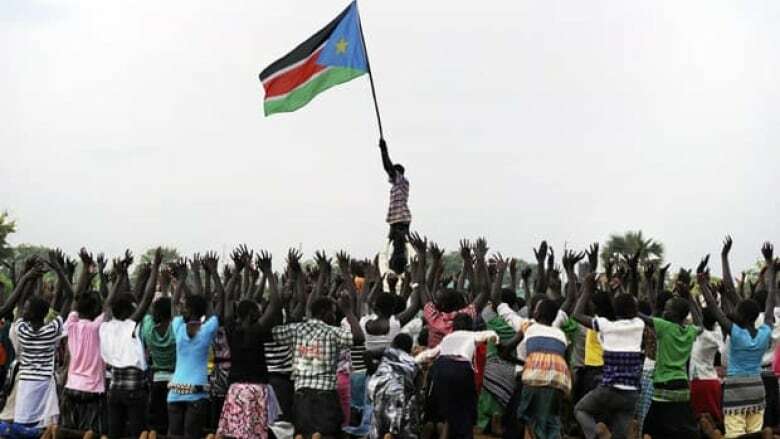 Agreement reached on the terms for an independence referendum in Southern Sudan. Al-Bashir wins Sudan's first contested presidential election since 1986. The main opposition parties boycotted the vote. Kiir Mayardit is re-elected president in Southern Sudan. Voting takes place in the Southern Sudan independence referendum. The independent Southern Sudan Referendum Commission conducted the vote. Besides Sudan, ballots were cast in Canada (Calgary and Toronto), Egypt, Ethiopia, Kenya, Uganda, Australia, Britain and the United States. A separate referendum in the oil-rich region of Abyei, which lies along the new border between the two Sudans, is postponed because of violence and instability in the region. Southern Sudan's referendum commission announces that 99 per cent of voters in the South opted to secede from the country's North. In northern Sudan, 58 per cent of voters chose secession. In Canada, 97 per cent of Sudanese expatriates who voted chose that option. One of the most serious battles between the SPLA and rebels claimed over 100 lives in Jonglei state. In this case, the fighting involved forces loyal to renegade SPLA commander George Athor. Following that battle, many civilians from the town of Phom el-Zeraf died when they fled into a river as Athor forces shot at them. Then in April, SPLA soldiers fired indiscriminately on civilians in Jonglei during an attack on a rival ethnic group, killing or wounding hundreds, according to witness testimony in a confidential U.N. report. Fighting erupts between government forces and an SPLA-aligned militia in the Nuba mountains of South Kordofan, which borders the South and is the North's main oil-producing state. Many of the states' residents have long been sympathetic to the South. The 2005 peace agreement promised them "consultations," which have not even been scheduled. Sudanese military planes have bombed civilian areas. More than 70,000 Nuba have fled the region. The governments of Sudan and Southern Sudan sign an agreement that calls for the withdrawal of Sudan troops from the disputed border region of Abyei. A UN-backed peacekeeping force from Ethiopia will be in Abyei until a referendum to decide which part of Sudan its residents will join. Serious fighting had broken out in May, leading more than 140,000 people to flee the region. The Republic of South Sudan declares independence, becoming the 54th state in Africa.